At PNA it’s our job to offer money-saving services and practical solutions, supporting the newspaper industry in hundreds of ways. Whether you work in management, editorial, advertising, production or circulation, the PNA can help you. 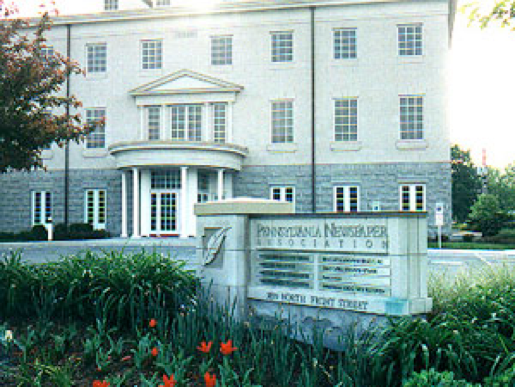 The Pennsylvania NewsMedia Association building is located at 3899 North Front Street in Harrisburg, Pennsylvania 17110. Our mission is to advance the business interests of Pennsylvania news media organizations and to promote a free and independent press. An independent, non-profit corporation organized as a public foundation. The Foundation provides PNA members with a wide range of low-cost and innovative training opportunities. Our mission is to provide training and resources to our members, to develop the next generation of readers and journalists, and to educate the public on the importance of the First Amendment and the role of a free press. The Association’s wholly-owned, for-profit subsidiary. MANSI sells classified and display advertising into PNA-member newspapers. Our mission is to promote, secure and simplify placement of advertising into newspapers and other integrated media. Mid-Atlantic Newspaper Services, Inc. (MANSI), the PNA’s wholly-owned, for-profit subsidiary, sells classified and display advertising into PNA-member newspapers.